Following ankle surgery in February, Mandy (not her real name) was unable to walk for four months. Even afterward, she fell flat on her face the first time she attempted to jog. 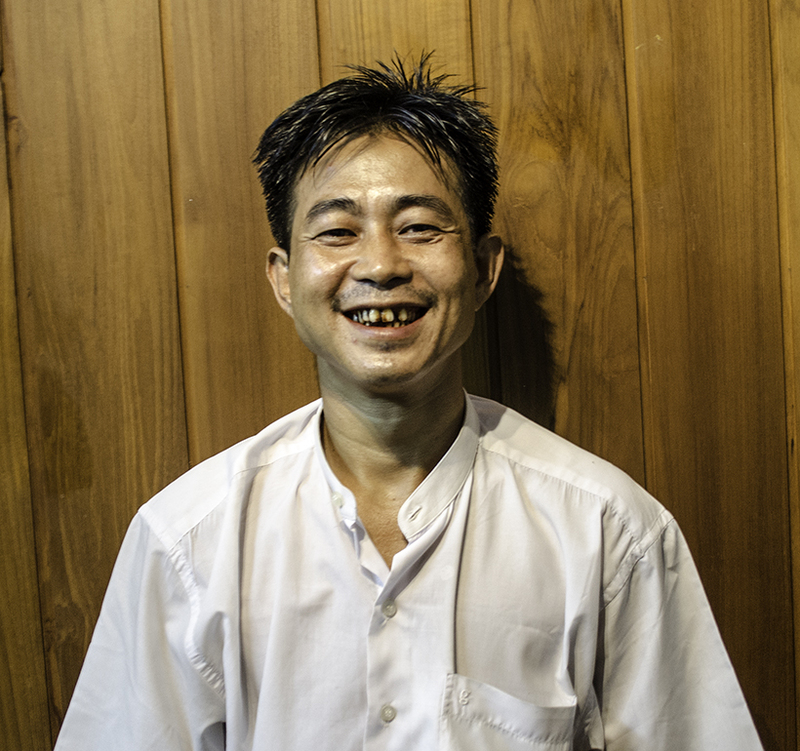 After two sessions of traditional Myanmar massage, however, Mandy said the benefits are already apparent. “It’s not that physiotherapy hadn’t worked for me, but in the United States it’s prohibitively expensive. I was busy and lazy so I wasn’t doing my exercises at home either,” she said. Mandy stresses that Burmese traditional massage isn’t designed with relaxation in mind, though that can be an additional benefit. Her practitioner is Ko Min Min Soe, whose knowledge about the therapy was passed down to him from his grandfather, who was a professional masseur. Ko Min Min Soe’s grandfather’s own mentor was a monk, who had himself spent several years in India studying traditional medicine and subsequently combined this knowledge with Chinese massage skills to develop a unique form of traditional Myanmar massage. According to Ko Min Min Soe, traditional Burmese massage predates Buddhism. He added that the Pali word for “masseuse” is listed along with other members of royal palace households in Myanmar. The hand massage treatment doesn’t require oils and focuses on the body’s multitude of pressure points – pressure is applied for an extended period before release, when the renewed blood-flow creates a warm sensation where the pressure was applied. It’s not outright painful, but it’s not for wimps either: The sensation can be somewhatdisconcerting, depending on your level of sensitivity. With a skilled practitioner, however, it can be invigorating. Mandy said, “[Ko Min Min Soe] is very intuitive with his hands – he immediately knows where the problem lies.” The massages have been so successful that she intends on making them a weekly regimen. Ko Min Min Soe has teamed up with the owner of Yangon Home Stay, Aldrich Sawbwa, and two months ago they began offering traditional massage services to the public three times a week. A one-hour session costs K15,000; for K20,000, it’s possible to have warm herbs in a bulb-shaped sack incorporated, to speed recovery from injuries. Until the situation changes, Ko Min Min Soe administers treatments twice weekly in a gym at 9 Mile and at Yangon Home Stay on 16th Street in Chinatown on Sundays. Ko Min Min Soe said of the patient, “The pain was in his back but the treatment doesn’t focus on the problem spot alone.” He explained that the soles of the feet are where tension in the body builds up, and are thus always an important part of administering traditional Burmese massage. Ko Min Min Soe also prescribes home exercises to maintain suppleness and overall health in between visits. However, it isn’t necessary to be suffering from a physical ailment to benefit from Ko Min Min Soe’s magic. A session will reduce stress as well as improve blood circulation, which leaves a person feeling refreshed, energised and sleeping better than before. Ko Min Min Soe said the only time it would be counterproductive to have a traditional Myanmar massage is if someone is suffering from internal injuries. When asked for how long he can keep massaging patients before getting weary, he responded by saying that it depends on the needs of the individual. Does the masseur enjoy a massage himself? His answer was somewhat ambivalent: “It feels ticklish,” he said with a laugh.